Selling art online can turn into a very lucrative option if you know how to do it right. 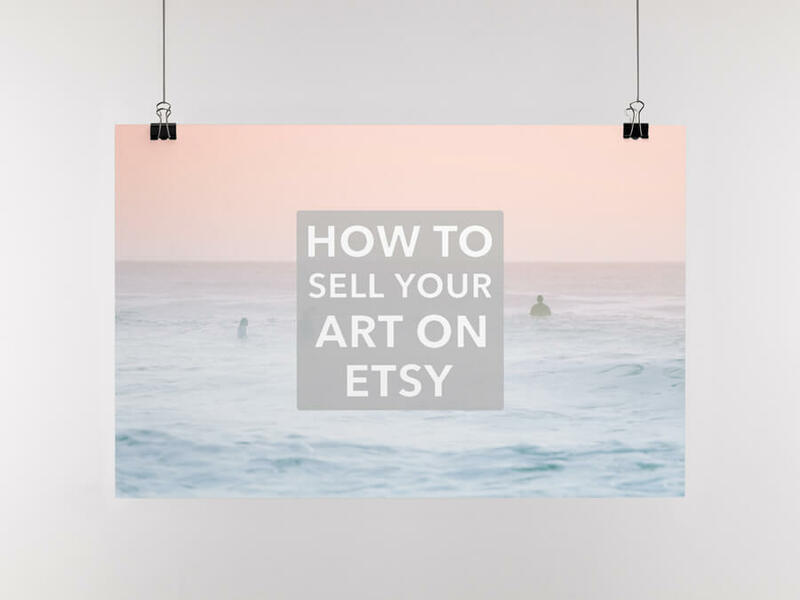 If you want to sell art on Etsy, this post can guide you through how to do it effectively. If you’re a great artist looking to make money off your work but aren’t sure how to sell art online, Etsy is a great option! Etsy is home to a huge number of sellers who sell personalized items that have a bit more charm than anything you may find at your local shops. Because of this, the option to sell art on Etsy is a great one for all types of artists. 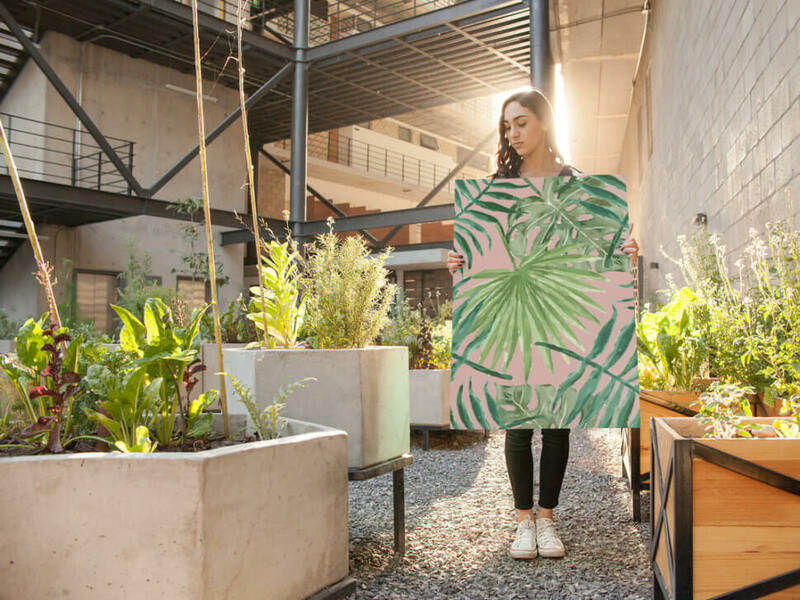 Whether you want to sell paintings on Etsy or are a photographer looking for a new market for your prints, Etsy might be the perfect answer to your selling woes. With that said, you’ll need more than just your art in order to open a successful Etsy shop. While that may make it sound like a difficult endeavor, it really isn’t! Below are some tips to help you start selling your art on Etsy. Display Your Art on a Mockup! To run a successful Etsy shop, you will first have to know who your competition is. This isn’t meant in a mean-spirited way, but taking a look at your competitor’s shops can give you a lot of useful information. Look for art sellers who produce similar pieces to yours in terms of size and medium so that you can get a better idea of what does sell and what doesn’t. Another thing to look at is their price range. You want to price your art competitively while ensuring it’s not overpriced. You also don’t want to charge too little because art costs money to produce and it takes time to create. Another thing you will want to make a note of when checking out the competition is what makes your art stand out from there’s. If you’re not sure what this might be, focus some attention on producing pieces that reflect your aesthetic and that offer something no one else is offering. Little details like including a thank you note or a discount code for a future purchase in the package can also differentiate you from the competition. Branding is a huge part of running a successful Etsy shop no matter what you sell. With that said, if you’re running an art shop, create a brand that makes sense for that market. Your brand should reflect your products, your personality, and should inspire loyalty from your customers. Contrary to popular belief, this isn’t just about your logo or color palette. Your brand does include visual elements like your logo, product packaging, and the items you sell, but it goes beyond just aesthetics. 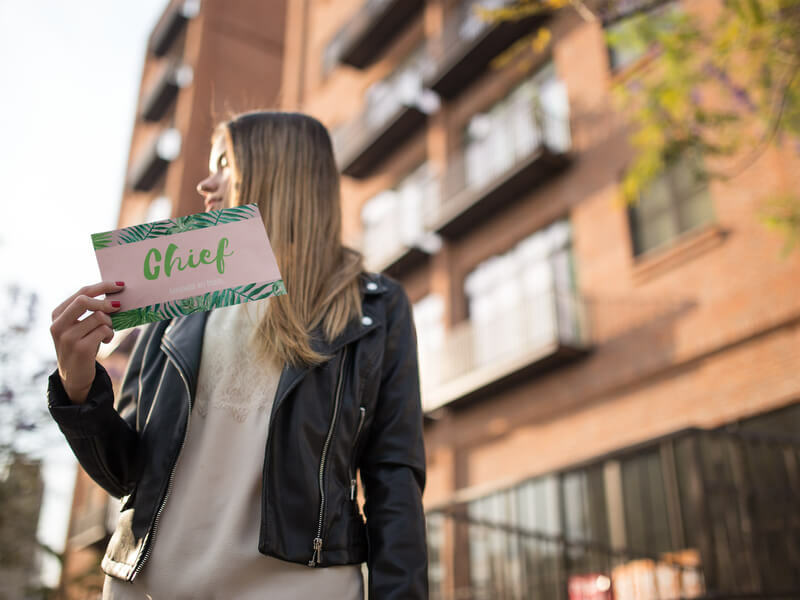 Your brand also has to do with the wording you use to communicate with your customers, the way your customers interact with your products, and even the elements that set your brand apart from the rest. This can mean having incredible customer service or even running super fun promotions. Think about it this way, branding is what people say about you when you’re not in the room. While you’re at it, don’t forget to customize your shop with elements like an Etsy cover photo or banner. This is a great way to improve your branding strategy and can inspire more loyalty from your customers. To sell products on Etsy, you will need to have great images of what you’re selling. We understand that not everyone has the budget for a nice camera and lighting equipment and not everyone has the time to take photos and edit them. This is where Placeit can help! Contrary to popular belief, you don’t need a camera, lighting equipment, or even photography skills to get great photos of your products. Using mockups like the ones Placeit offers will ensure your art looks great in every photo. Placeit’s art mockups are taken by professional photographers, so you can be sure you’re getting the highest quality images for your Etsy shop. Not only that, these mockups can display your art in a number of settings and views so you can have some variety in your shop. It’s worth mentioning that professional images will also help you stand out from the competition. When creating your item listings on Etsy, don’t ignore the tags and keywords! While these may not seem that important, they are really important! In fact, these are what help Etsy shoppers find your products. Without tags or keyword, your products would be hidden without a way to reach potential customers. As you start to type in a keyword, you may notice that Etsy will suggest keywords. Don’t ignore these either! This is Etsy’s way of helping you choose relevant keywords, and these are actually the terms people are using to search for items. Finally, as you write in your item description, be descriptive. Let people know what size your artwork is, the medium, the supplies used, and anything else they may have questions about. Keep your description brief and concise for the best results. A good strategy that not many people know about is spacing out your listings. The reason this is important is because Etsy features new listings at the top of their respective category for a short time. If you post all of your artwork at once you will only reach the people browsing at that moment. By spacing out your listings you can be featured multiple times at different times, helping you reach a wider audience. Social media is a great tool for connecting, and not just with long lost classmates. For sellers with online shops, social media is the perfect tool to reach a wider audience and make a real connection with customers. You can join groups related to your products on different social media platforms in order to spread the word about your art. You can also share images, engage with customers, get real reviews on your products, and grow your audience. Keep in mind that having social media accounts for your brand can help people trust you more and feel more confident when purchasing from your Etsy shop. In fact, most people will check a brand’s social media accounts before deciding to follow through with their purchase. Be sure your Etsy shop has links to your social media accounts and that your social media accounts have a link to your Etsy shop. Now that you have a better idea of how to successfully sell art on Etsy, what are you waiting for? 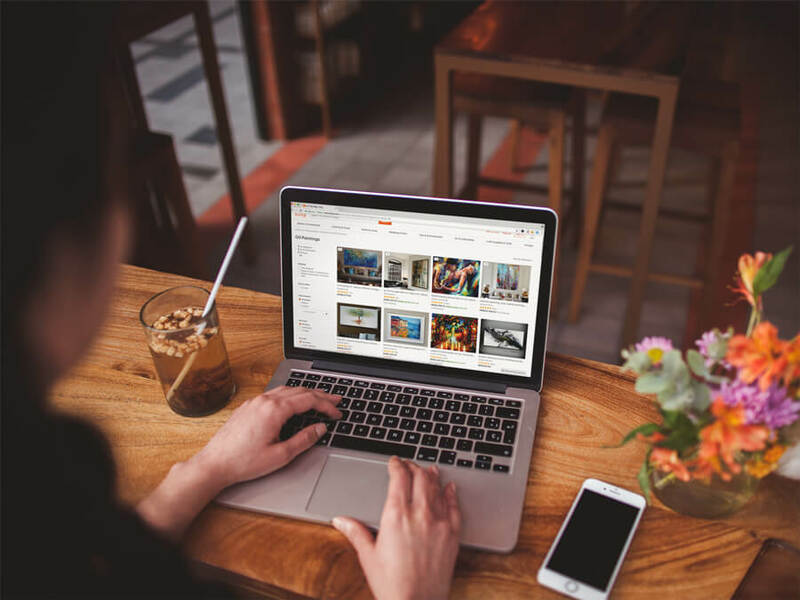 Selling your art has never been easier thanks to Placeit’s art mockups, so now you have no excuse not open that shop you’ve always been tempted to start. Put Your Art on a Mockup! Looking for Art Print Mockups? If you're an artist looking for an easy way to make some extra money, selling your prints online isn't a bad idea. Marketplaces like Etsy offer artists the opportunity to sell their art to buyers all over the world with just a few clicks. A quick and easy way to attract more buyers to your pieces is by using art mockups like the ones offered by Placeit. Instead of using a flat image of your artwork, put it on a mockup that allows buyers to see it hanging in a real living room! Learn more tricks like this and you'll quickly become a top Etsy seller! 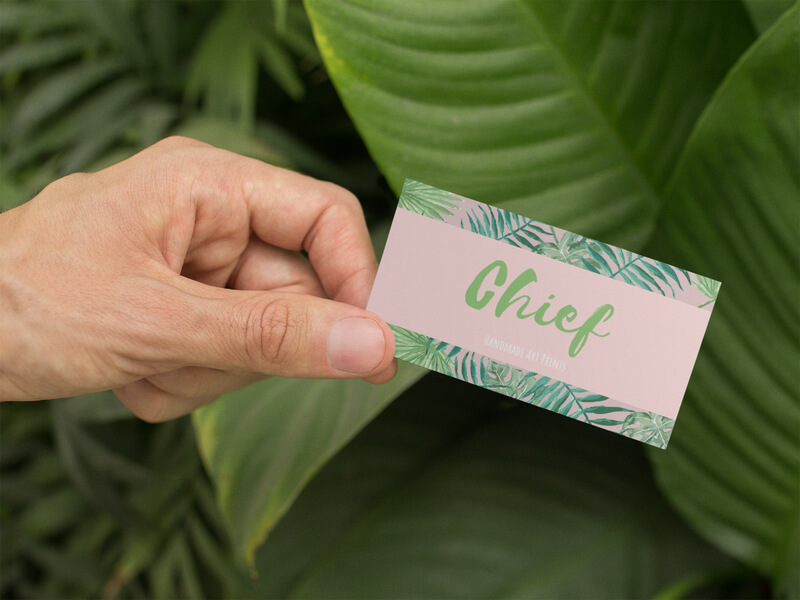 Create Your Own Art Mockup Now! "My art looks great on Placeit's art mockups!" A great way to increase your sales on Etsy and create a recognizable brand is by customizing your shop. Placeit's Etsy banner maker and Etsy cover photo creator make customizing your shop incredibly easy. Find out more about these elements and how to use them to your advantage in this post.